Hey Guys I'm trying to do better about posting more. 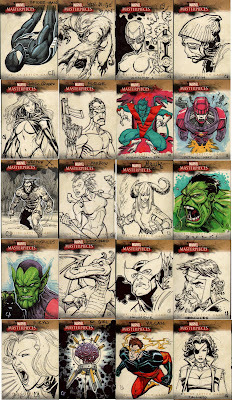 here are some Marvel Sketch cards I did for Upper Deck. I tried to spend as little time on them as possible. None are over twenty minutes. Hope you like them, I thought they were fun. One year my last post was a year ago? Holy moley. Well I must admit that things have been busy and exciting. Anyhoo. As soon as i get some stuff done I'll try and update everything. Big news is that I'm working for DC Comics WOOO HOOO! 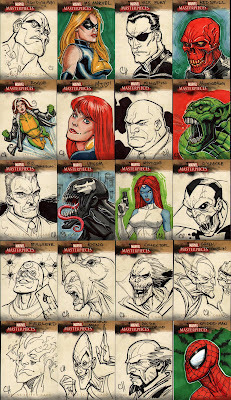 Check out my first big work in Countdown to Mystery #'s 5,7, and 8! More to come soon I promise.